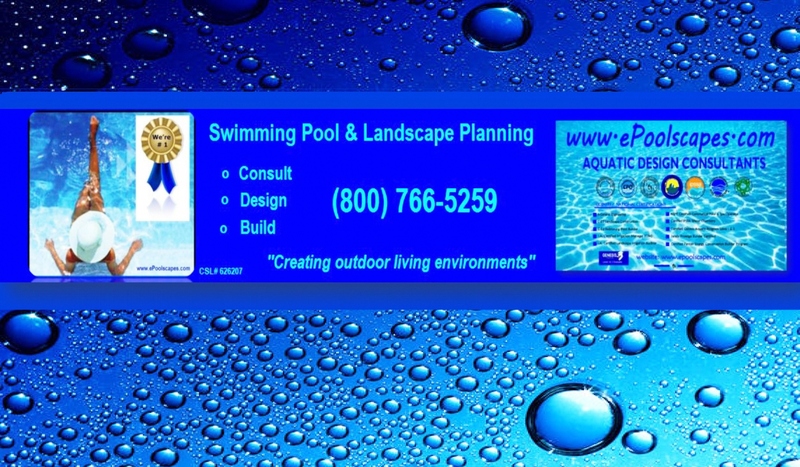 What is a Permit Ready Swimming Pool Plan…? These are the important details that provide a greater accountability for the intended approach to the construction process. Specific information is required to be exhibited on your plans, in order to gain permit approval from your local Building Department. These types of plans, can also become a tool for connecting a quoted price to a stronger truly measurable commitment! 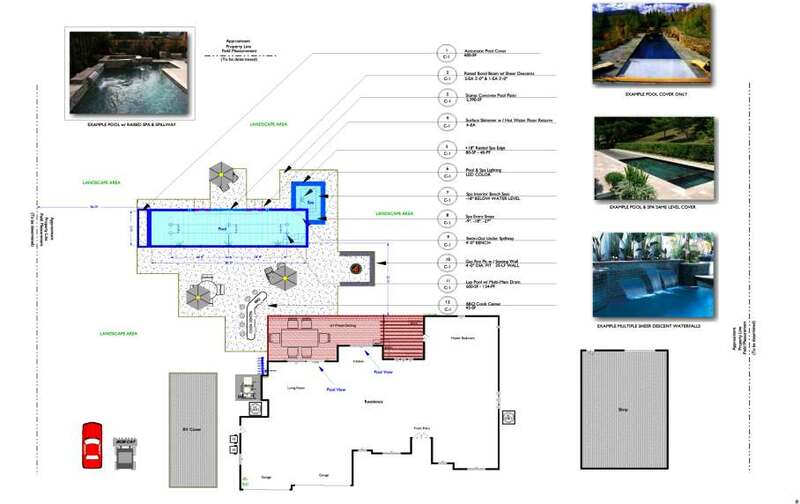 What is a 3-D Swimming Pool Plan…? The plan exhibited below is a “Sales Tool” for providing a 3-D animated version of a conceptualization for what could theoretically be built, not reality! A 3-D plan can’t be used as a substitute for establishing the standards for construction in the Building Permit Submission process! What type of plan is most useful…? There are many possibilities in building an Outdoor Living Environment, which can also include not just a new swimming pool but, many other elements. When projects are sold on price, absent a good set of plans and a strong specification, then the interpretations for performances can be left to independent assertions for what is to be expected. In such cases, undefined standards can become whittled down to the sub-standards of common practices, which may narrow the field of view for what could otherwise be a well intended and knowledgeable performance! It is in this “missing information” that the prescription for a disastrous sub-standard approach ushers in unbridled profit-taking, which too often evolves too quickly and is discovered too late for change, without incurring the burden of unforeseen costly change orders. In order to insure that your project isn’t caught up in such a opportunistic trapping, you’d be well served to organize your approach and connect the “full intentions” of responsibility in order to keep performances from becoming in-field unilateral decisions. Click HERE to begin the process of designing your project.